Clare is the Landmarks co-ordinator and lead artist with Community Arts Partnership. This is a socially inclusive art in public programme that delivers small and large scale, community led projects across Northen Ireland. 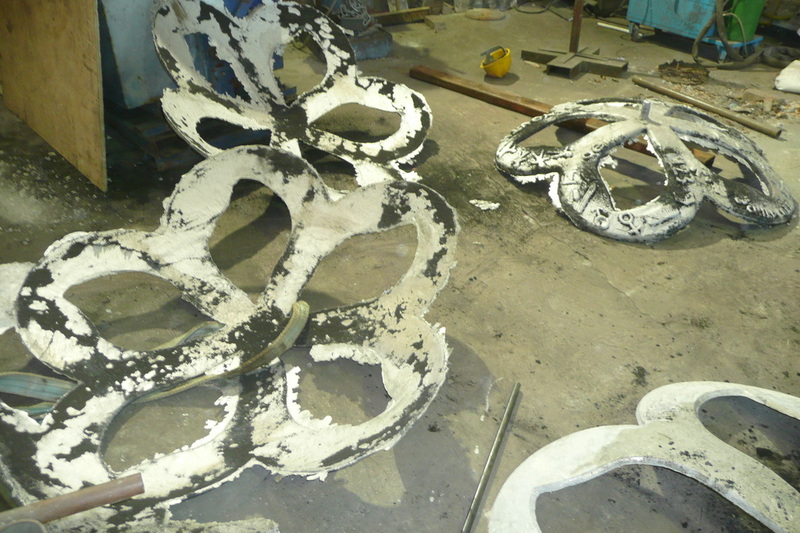 'Belfast Bloom' (below) is the current large scale piece in its final stages of fabrication. The work involved ten diverse community groups across Belfast. Each group were given a flower template and asked to design in clay relief representations of their identity, locality and environment. 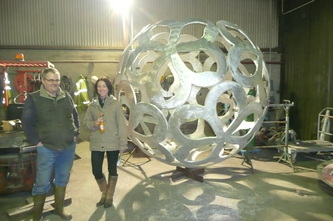 Each template has been cast in aluminum forming the central body of the overall sphere sculpture. 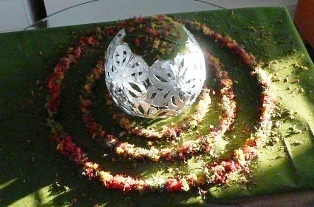 The top flower of the sphere will be a planted living roof giving the piece a continuous growing and evolving element. 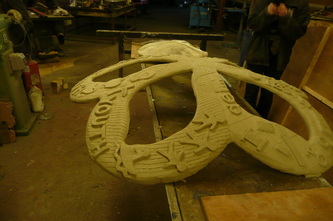 The work will be installed in Botanic Gardens, Belfast later this year. 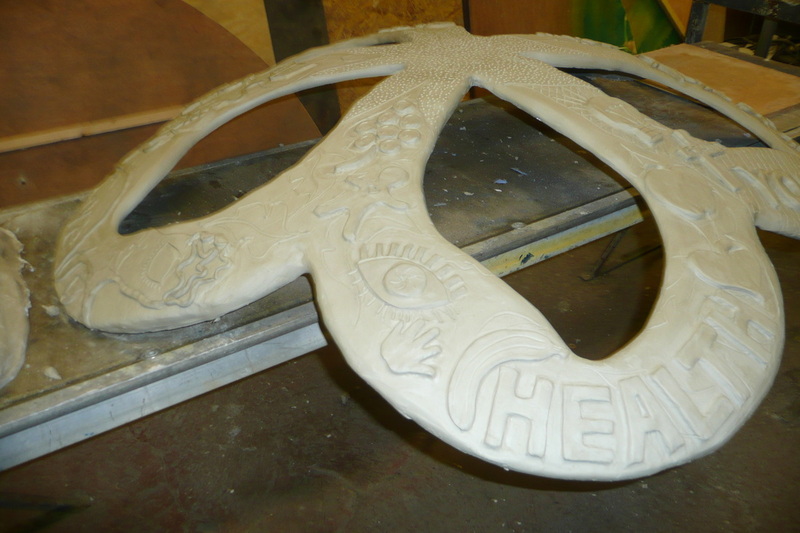 It has a strong environmental and community message. Sustaining a healthy society involves respect and support for each others' communities and backgrounds. This relfects the sustainability of the natural environment and the sensitive ecological systems that need repsected and supported to survive.